On Friday, June 12, 2015 during the Chatham County Commission Meeting, the Chatham County Youth Commission presented their 2015 graduates, the recipients of the 2015 Beverly M. Whitehead Award and the recipient of the 2015 Brandon Brown Youth Commissioner of the Year Award. 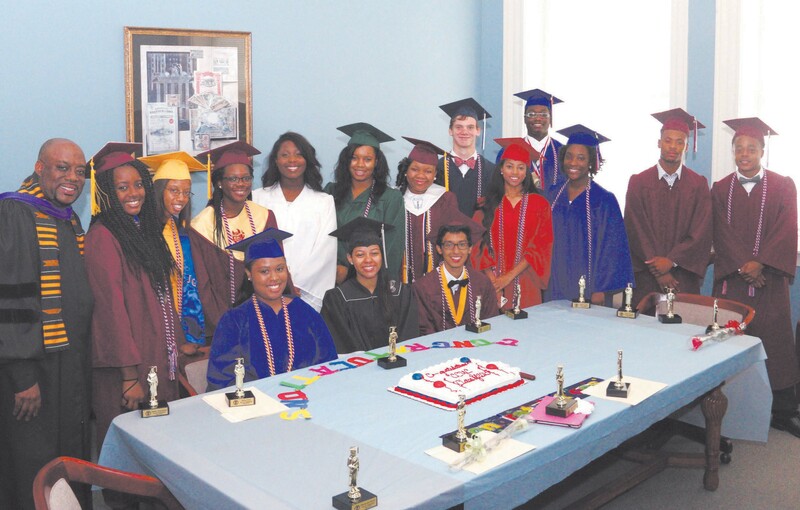 The Graduates are: Gabrielle James, Ryan Pacheo, Kendyl Parker, Dominique Bolds, Martayshia Brown, Moryce Brown, Destiny Craig-Mojica ,Philip Dove, Jesse Green, Monica Green, Malena Hall, JeQuan Hatcher, Chance Jackson, Keona Payne, Kayla Smokes , Breanna Swain, Tanardjah Washington. The 2015 Beverly M. Whitehead Award was presented to Professor Tatia Adams Fox of the Savannah State University Journalism and Mass Communications Program and Linda Polite-Gordon, affectionately known as the “CCYC Mom”. The 2015 Brandon L. Brown Youth Commissioner of the Year Award was presented to Nicolas Williams, a rising junior at Savannah Early College.